Our lightest and slimmest automatic umbrella. Cylindrical case with side fastening for easy use. Opens and closes easily at the press of a button. 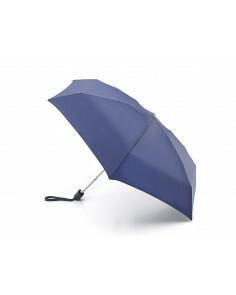 Offers substantial cover for a compact umbrella. 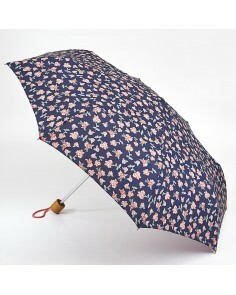 Umbrella measures 25cm x 3cm when closed, the canopy is 92cm when open. Flexible aluminium/fibreglass rustproof frame to enhance wind resistance. Designed to withstand inversion in normal wind conditions, close and open to obtain original shape. Clean using plain water only.